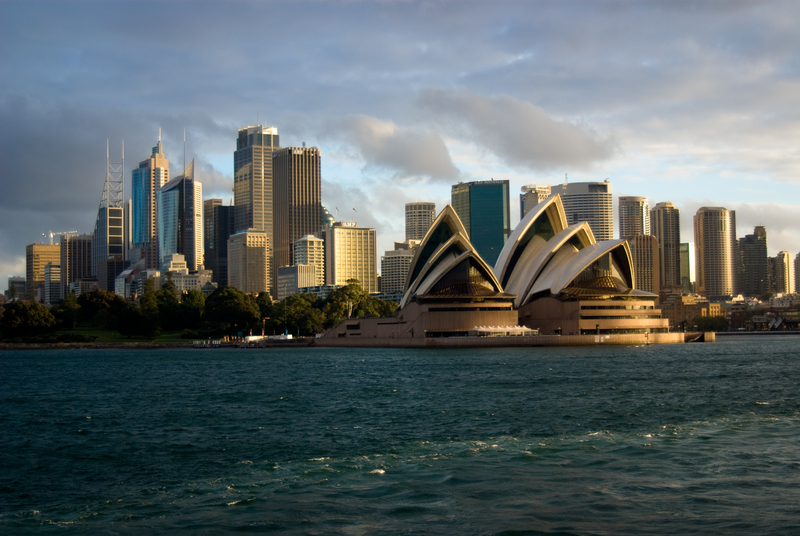 Sydney was just voted the second most expensive city in the world – only Hong Kong is pricier! 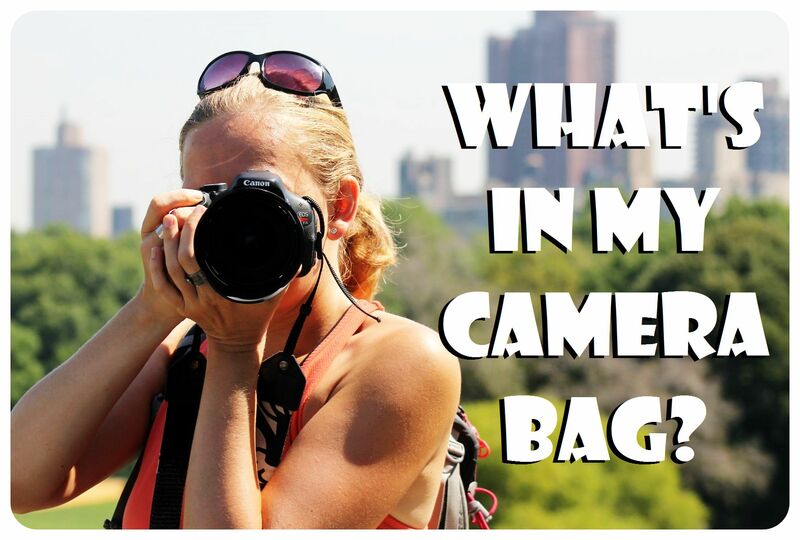 What does that mean for travelers? You will pay a lot more for accommodation than in other cities, yes. You will pay more in restaurants, yes. 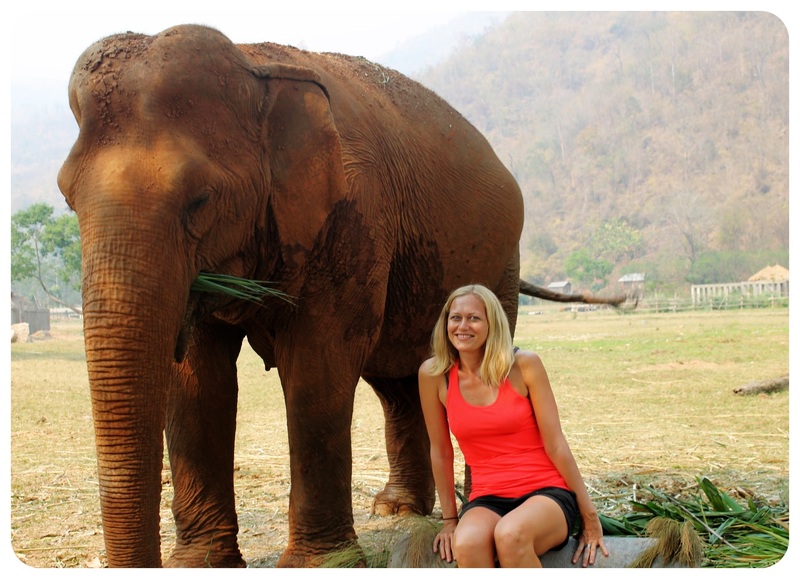 But sightseeing itself doesn’t have to cost a lot! And Sydney is one of hte most beautiful cities in the world, which shouldn’t be skipped on a visit to Australia. 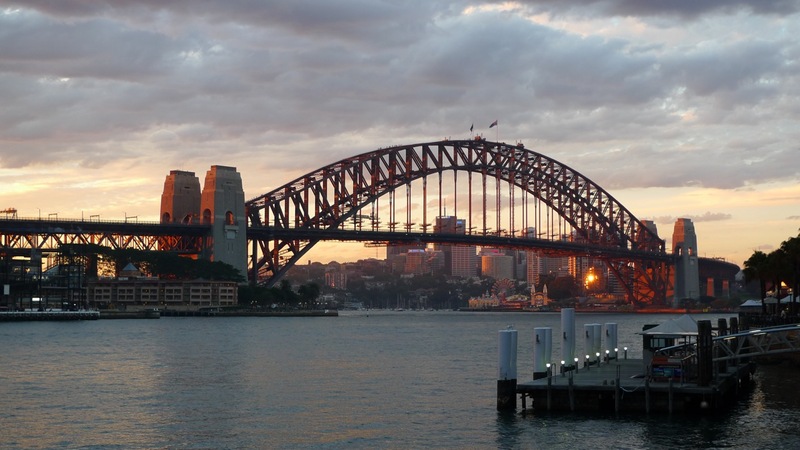 Luckily, there are plenty of things you can do in Sydney that are completely free, and unless you decide to fork out A$288 for the Sydney Harbour Bridge Climb, you can still visit Sydney on a shoestring. Free walking tours have become more popular around the globe, and of course you can also take one in Sydney. There are three tours every day, two that leave from Town Hall Square (10.30am and 2.30pm) and cover Downtown Sydney, and one that leaves at 6pm every day from Cadmans Cottage and covers The Rocks (see #2). You’ll see some of the city’s main sights and learn a lot about the history and culture of the city along the way. 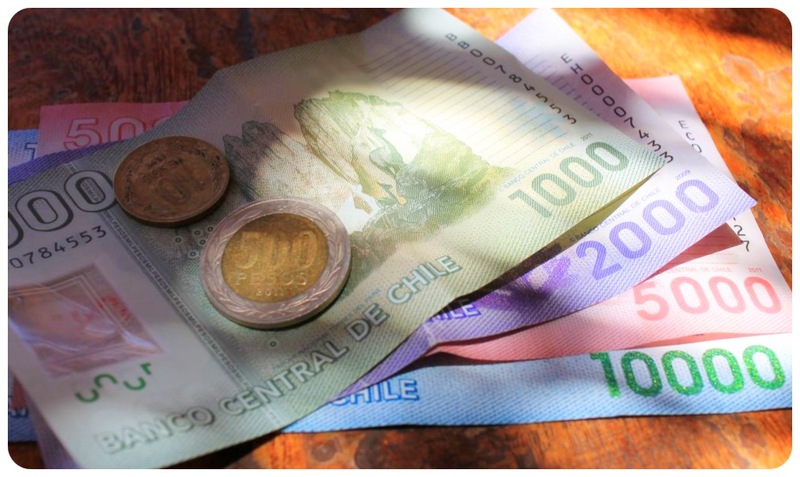 It’s a great way to get acquainted with the city – but don’t forget to tip your guide. You can find details for the free tours here. Writers Walk: which is a walk that follows the promenade of Circular Quay and lets you learn about famous Australian writers on 50 round metal plaques along the way. Each plaque has a selection of thoughts from Australian writers and literary visitors – if you are into literature, don’t miss this, but even if not, it is a great walk along Circular Quay and you can walk up to the Opera House while you’re here. Another fantastic walk in that area is the walk from Circular Quay to the Royal Botanic Gardens, which are free to visit and which are, without a doubt, one of Sydney’s finest green spaces. One of Sydney’s finest walks leaves from lively Circular Quay (where the ferries come in). Walk towards the Opera House with its telltale white sails and into the Royal Botanic Gardens, Australia’s first vegetable garden and now a treasure trove of trees, ferns, flowers and lawn. The Botanical Gardens are one of the best places in Sydney for a picnic, by the way, so if you are looking for a place to throw a birthday party or have an engagement celebration, this would be an excellent spot. Pick up some snacks and enjoy a picnic lunch while enjoying the views from Macquarie’s Chair, which is a spot that offers amazing views over Sydney Harbour, the Harbour Bridge and the Opera House. 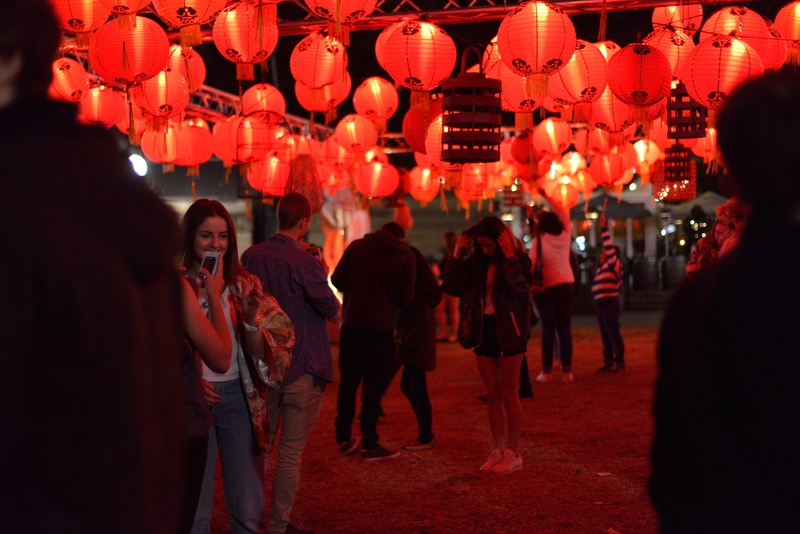 If you are visiting Sydney during the summer, don’t miss the Friday markets in Chinatown, when from 4pm to 11pm, over 50 Asian food stalls, music, lanterns, light shows and vendors transform Chinatown into Little Eat Street. “Manly – Seven miles from Sydney and a thousand miles from care…” used to be the slogan to promote this pristine beach in the 1940s, and it still makes for a great day trip from Sydney. Manly Beach is one of Sydney’s northern beaches, reached by commuter train or by ferry from Circular Quay (the ride takes 30 minutes, but look out for the fast ferries and their $5.50 special rates during the day, which bring you there in only 20 minutes). Spend the day sunbathing and swimming, or do some beach hopping. 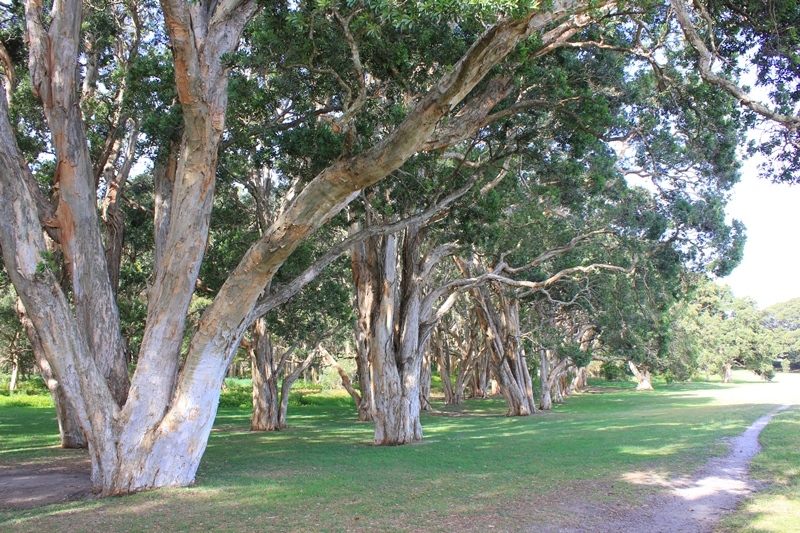 You can walk along the oceanway to Fairy Bower and Shelly Beach. Shelly Beach has some noteworthy marine sculptures as well as a tidal pool. In Manly you’ll find plenty of bars, restaurants and shops for some window shopping. Tip: Time your return trip to the city on the ferry so that you’re on the ferry during sunset. The views over the Harbour Bridge and the Opera House are breathtaking! I briefly mentioned the pricey Harbour Bridge climb, but there’s also a free way to experience this famous bridge: simply walk across it on foot. The views are gorgeous, and the best way is to start in Milson’s Point and walk over the bridge back towards the city. Again, late afternoon and sunset will give you the best light for pictures. The bridge itself is also worth exploring, a magnificent structure, which was built in 1932. Darling Harbour is a large recreational area just west of downtown. There are plenty of attractions and activities here, like the aquarium and an IMAX, plus a whole bunch of restaurants, bars and cafes along along the waterfront at Cockle Bay, King Street Wharf and Harbourside; but simply going for a stroll and take in the views doesn’t cost a thing. This is the perfect place to get a view of the skyline, I recommend going in the late afternoon so that you get a chance to photograph it during the day and after sunset, when the skyscrapers are all lit up. If you don’t mind spending a little bit of money, check out the Chinese Garden Of Friendship (admission AU$6), a tranquil green oasis amidst the modern buildings. For sweeping panoramic vistas over the entire city, head to Centennial Park. The parks, which were established in the late 18th century, are a wonderful place to take a break from the city, and there are plenty of things to do and see here: gardens, ponds, fountains, amphitheaters. Or you can simply bring a picnic and a book and while away the day. If you’re a nature lover, take a walk through the wetlands (free), which are one of Australia’s most important wetland ecosystem. The best way to see the entire park is to rent bicycles (can be rented inside the park). Tip: On the last Sunday of every month, the roads are closed for cars. Museums: National Maritime Museum at Darling Harbor (including historic ships, well worth a visit), the Nicholson Museum (Australia’s oldest University museum and home to the largest collection of antiquities in the Southern Hemisphere); The Rocks Discovery Museum (tells the story of The Rocks from pre-European days to the present); Museum of Australian Currency Notes (inside the Reserve Bank of Australia); the Australian Tennis Museum; Government House (a working State House which provides a lesson in history, contemporary government and art – sometimes closed for state functions, so check if it’s open before visiting). Manly Beach (#4) is only one of Sydney’s many beaches, and you should definitely check out a couple of them during a visit to Sydney. Another iconic beach is Bondi Beach, and the walk from Bondi to Coogee is a 4-mile (6 kilometer) coastal cliff walk with amazing views. You can find the exact details for the Bondi to Coogee walk here. 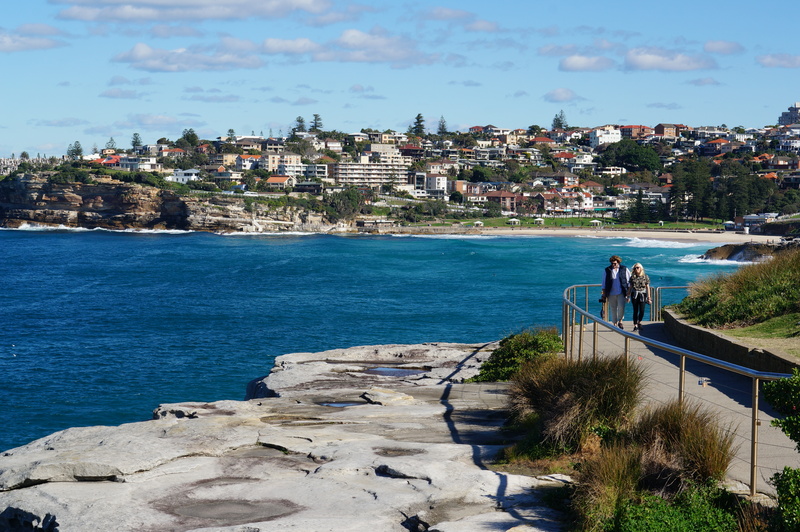 If you don’t want to walk that far, follow the Bondi to Bronte footpath which takes you to Tamarama Beach (25 minutes) and also has some fantastic views. Tip: If you happen to visit Sydney in November, don’t miss the Sculpture By The Sea art event which features some spectacular sculptures right by the ocean near Bondi Beach. If you love beaches as much as I do, you might want to check out even more beaches – here’s a list of the 12 absolute best beaches in Sydney.